Riff Axelerator | THE speed building tool for the modern guitarist. Play better with less effort. Riff Axelerator gets faster while you simply play along and teaches you licks in the styles of your favourite players. Riff Axelerator speeds up while you simply play along. How Riff Axelerator works to make you a better player, faster. Riff Axelerator gets faster while you play along. Instead of the half speed/full speed approach used in most teaching material, Riff Axelerator lets you choose what tempo you start from and the lick incrementally increases while you simply play along. The foundation of the Riff Axelerator concept… the lick you’re learning can increase in tempo as you play along! Quickly solo the drum track… or the lead track… or both. Whatever track you’re playing along with sound great. The Riff Axelerator lessons won’t go out of tune (even at slow speeds)… so neither should you! No midi tracks or distorted variable speed audio… Riff Axelerator uses actual guitarists playing the actual lick from slow tempos right up to speed! You can hear the clarity of Riff Axelerator at this super slow tempo, which means that you will be able to play along at a tempo that suits your playing, without the awful distortion of audio that we have tolerated for so long. and help him to raise money – 100% of proceeds go to the Becker family. 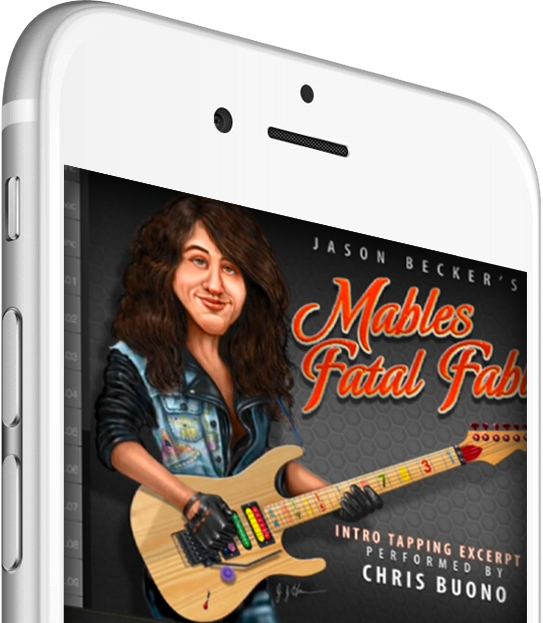 "This is cool way to learn some great licks, and show Jason Becker some love". "Jason Becker and I would have loved this software when we were playing together"
"This is a great practising tool!" "I see great value and potential in the Riff Axelerator software concept, and featured in it several issues of my online Digital Gutiar Lesson Magazine which features content from a number of the world’s top players and teachers." "Wanna take your chops to the next level? Riff Axelerator is the way to get faster and cleaner, better than any method I have seen!" Time to throw away your metronome.